Municipal personnel perform many daily tasks including providing customer assistance on the telephone and at the front counter. In maintaining a high level of customer service, administrators need to provide varied information and conduct numerous transactions – quickly and accurately. Permit sales can be fast-paced and voluminous. In that regard, software must provide the administrator to be fully prepared to handle this challenge. It is critical to have all the permits set up in the database and ready to issue and sell. It is also critical that the software provides the ability to conduct the issuance and sales process without the needless necessity to enter and exit various windows to issue the permit, enter the payments, and record the transactions. PermitTech® provides new and innovative software to perform permit issuance, sales, generate a receipt, and record the payment QUICKLY and EFFICIENTLY – all from the same window. PermitTech® was designed to be flexible, efficient and cost-effective. The system is easy to learn, simple to use, yet comprehensive in scope. PermitTech® incorporates all aspects of parking permit management. PermitTech® utilizes the most current technologies including today’s database engines, database optimization techniques, and true client server platforms. With this combination, the system is scalable – meeting initial and future growth demands of small, medium, and large operations.  PermitTech® was specifically designed and developed for use on the preferred choice in the industry – client workstations to reside on platforms running Windows® XP while the applications and database servers reside on the Windows 2000/2003/2008 platform. This platform was chosen due to the increased demand in the market place for systems residing on the familiar Microsoft platforms. The PermitTech® system is an interactive system using a client/server platform in a networked envi­ronment. All activity that takes place on the system from any of the networked workstations is immediately recorded in the system’s master file(s). PermitTech® uses Microsoft’s Access® or Microsoft SQL Server® database management systems. The development of PermitTech® was conducted by NetTech technical staff with an aggregate of over 125 years of experience. This unique level of proficiency enabled NetTech to design a superior product with the ability for on-going functional enhancements. Having been operational for over 13 years in several agencies, PermitTech® has proven to be extremely stable and operationally sound. PermitTech® uses advanced database programming techniques, linking all associated data elements within the database. The key data elements include name, license plates, and permit. In the permit issuance process, all pertinent information is captured and entered into the database. The software updates the database immediately, linking these associated data elements. This ensures access to permit holder information from virtually any data element within the database. Whenever an inquiry is initiated, transactions and updates can be conducted from the same window – precluding the necessity to exit the window. This is achieved by using standard Windows® techniques such as “file folder tab” selections, “over-lay” windows, “drop down” windows, “radio buttons”, horizontal left/right scrolling arrows, vertical up/down arrow scrolling, and highlight/click selection techniques. Capture and maintain information to accommodate the distribution and use of access cards for users who run lot/garage operations. When the issue/renew window has been selected, PermitTech® provides a drop down window displaying dialogue prompts and text boxes to capture all required information for permit issuance. The first prompt is for primary license plate. When the license plate has been entered, the software searches the citation file to determine if there are unpaid citations for any customer, displaying a message as to the number of unpaid citations and the total amount due (ParkTech® software must be operational for this feature to be activated). PermitTech® displays a list of permit types/location selectable by the user. When a permit type has been selected, the software displays the selected permit type, beginning/ending date range, and next sequential permit number to be assigned, along with an “issue permit “ command button. When the tender button is depressed, the payment is accepted, the permit is recorded as issued, and the database automatically updated. The software is ready to capture the information for the next permit to be issued. PermitTech® also provides the capability to transact payments for pro-rated fees. For high volume over-the-counter transactions an optional cash drawer and/or receipt printer can provide added efficiencies. With a receipt printer/ validator, a receipt is quickly printed quickly and given to the customer. All dollar transactions and end of shift totals can also be printed from the same printer. ParkTech® utilizes an Epson TM-U375 receipt/ journal/validation printer. This printer was chosen for its reliability and combination feature (receipt, journal and validator in one). The actual receipt is stored in the permit transaction file and can be printed by depressing the print screen command button. The software provides the ability to change late deposit posting dates. This feature allows the deposit date(s) to be changed from what was recorded in the payment transactions, but will actually NOT be deposited until after the recorded date. After the actual deposit date is entered, the software will automatically change the recorded deposit dates. Reports reflect and account for the date changes. Assess/transact payments for special fees (lost permit fee etc). Print a permit from the permit inquiry window. PermitTech® has the capability to display a “reports” tab to generate, display, and print all permit reports without exiting the permit module. Notice registers indicating how many renewal notices/letters were sent and to whom they were sent.